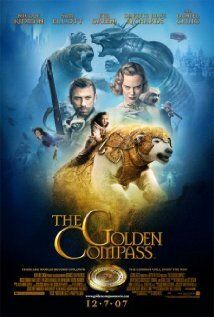 The Golden Compass is a movie 1) by Chris Weitz released in 2007 AD. Staring Nicole Kidman, Daniel Craig and Dakota Blue Richards. The movie won an Oscar for best visual effects. François Schuiten worked on The Golden Compass as conceptual artist for the architecture. He worked together with a German and American producer in London, but both got fired. Not much of Schuitens work ended in the final version of the movie 2).